Chennai: The South Chennai District Consumer Disputes Redressal Forum has ordered the city-based Government Kasturba Gandhi Hospital for Women and Children, to compensate an aggrieved patient for firstly reporting the wrong diagnosis, on then, on the basis of that report, negligently conducting a complex surgery. The case is that of a patient, who approached a private scan centre after she developed abdominal pain and vomiting. At the scanning centre, she had undergone Urine Pregnancy Test and USG. The results of these tests showed that she was having an ectopic pregnancy in the left ovary (left ovarian pregnancy). Later, she went to Kasturba Hospital where she once again went certain tests. The test report read, “right ovary enlarged c/s: Encapsulated mass in the rt ovary.” Subsequently, the patient underwent laparoscopy operation for the removal of her right ovary. Even after the surgery, the patient had persistent pain. “Findings: Uterus RV, fixed and blood clots found in the POD with omental adhesion. Haemoperitoneum found. Right tube normal and Right Ovary absent. Left tube enlarged Fimbrial end distended & fixed to Left Ovary & POD with contents of Tubal abortion. Procedure: Laparoscope introduced through a Primary Left paraumbilical port. Using 2 additional ports, Omental adhesions freed. Left tube & Ovary dissected free. There was bleeding from the Fimbrial end and the same controlled by coagulation & compression. Dye test done. Both Tubes showed free spill. Haemostasis secured. Pelvic cavity washed. Laparoscope withdrawn. Skin-nosutures”. Alleging that, without any proper diagnosis and treatment, Kasturba hospital discharged her in a hasty manner without considering her problems, the patient moved the district consumer forum. During the hearing, the hospital failed to produce any documents to prove that the patient had either a cyst or enlargement hemorrhagic in the right ovary. 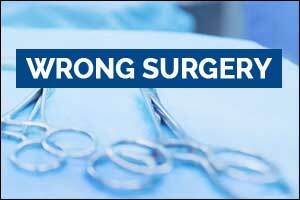 After a careful perusal of all the reports submitted with the court, the bench presided by Justice Thiru M Mony and comprising Tmt K Amala as Member observed that the negligence in diagnosis, treatment and administration of surgery by the hospital is utterly wrong. In the result, the court directed the hospital to pay a sum of Rs 1.19 lakh to the patient.